Leaving Meran for Bozen was a bit sad, I must admit. We really enjoyed our time in the city and I felt like we had just skimmed the surface of what the area has to offer. There was so many cute towns, castles and hikes that we have yet to experience so I suspect we will be back. Of course, Meran did not let us go easily. Our bus to the train station was spectacularly late, which meant that we had just given up and were starting to walk when it came around the corner. We still had our seven day Mobility and Museum passes that I mentioned here, so we thankfully didn’t have a specific train connection booked. This meant that the train ride from Meran was free and relaxing, once we got to the station. We spotted a fair number of cute towns and castle ruins along the route, making it a really nice little trip. Arriving in Bozen made it clear to me that this was really Italy. Everyone was bustling along, somewhat haphazardly, signs seemed to be somewhat missing, and the traffic outside was somewhat ridiculous and loud. It took us a good ten minutes to figure out where we could leave our luggage – it’s outside of the station on the first track. It looks like an outfitter’s shop, more likely to sell tours and adventures than store luggage – but it worked. Castel Mareccio, just a few minutes away from Bolzen’s old town. 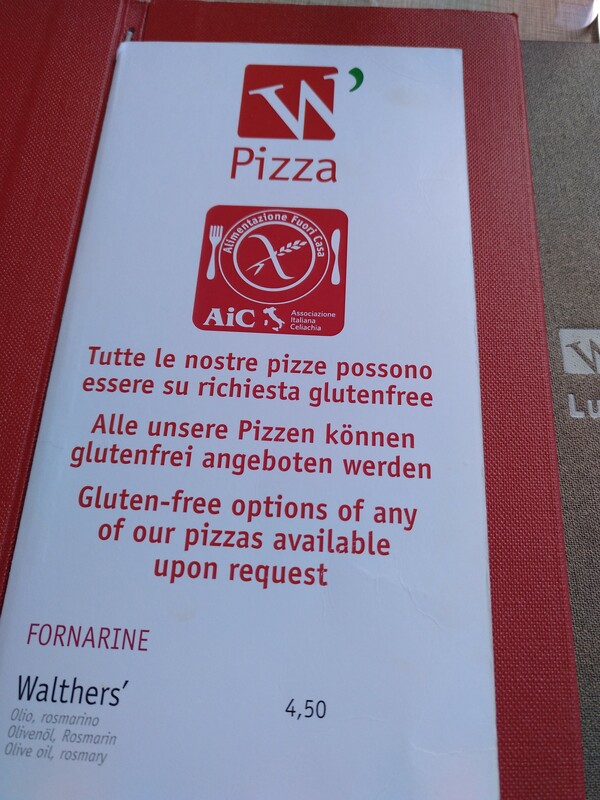 As Bozen is the largest city in South Tyrol, it should come as no surprise that there are a few different restaurants that have been certified by the AiC. 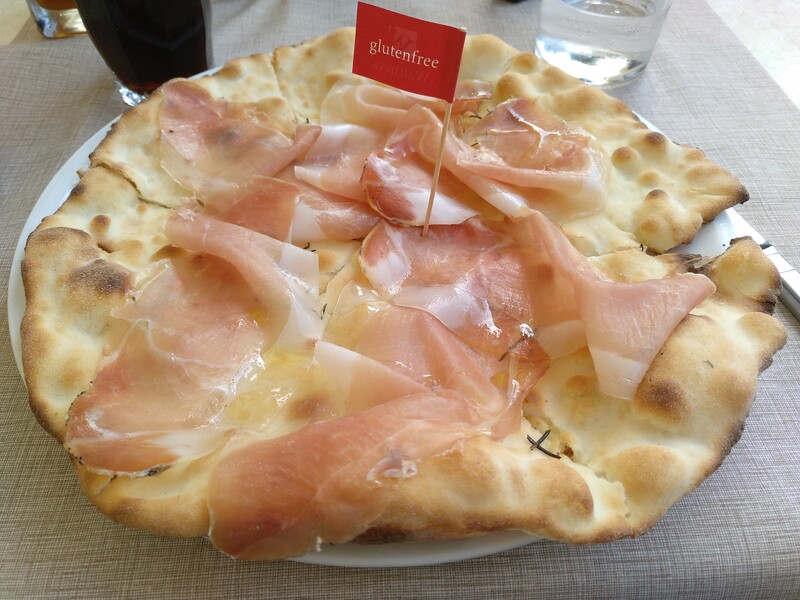 We weren’t planning on staying too long, so we took a short jaunt to Castel Mareccio and then went to Walther’s for lunch on the Waltherplatz. It was pretty packed but the menu clearly marked what was gluten-free and all of the servers were more than willing to answer my questions. They use the same pizza bases from Schär, the round balls of raw gluten-free dough, and assured me that contamination wouldn’t occur. I definitely recommend Walther’s if you are in the Bozen area, you get a lovely view of the Dom Maria Himmelfahrt, along with delicious food for a reasonable price. Next up, Seis and the Villa Madonna!